The long-term unemployment rate remains stubbornly high. 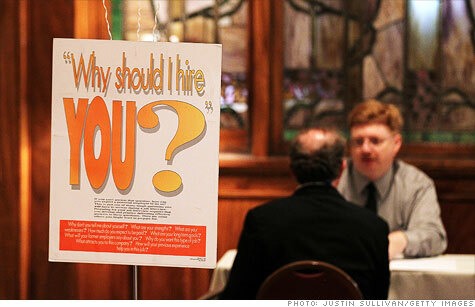 NEW YORK (CNNMoney) -- The long-term unemployed just can't catch a break. Nearly 32% of the 14 million Americans who are unemployed have been out of work for more than a year, according to data from the Pew Charitable Trusts. The numbers are jaw-dropping. While the percentage of unemployed who have been out of work for more than a year has recently been hovering just above 30%, it's nearly double the figure reported in 2009. In the third quarter of 2009, only 16% -- or 2.5 million -- of the unemployed had been out of work for more than a year. The Pew analysis indicates that high long-term unemployment rates cut across nearly every industry, and disproportionately affects older workers. More than 43% of unemployed workers older than 55 have been out of work for at least a year, according to the study. While the broader job market has recovered somewhat from its recession lows, the challenge of long-term unemployment has persisted -- along with federal spending on unemployment benefits. Spending on unemployment insurance will hit $120 billion for fiscal year 2011, according to data from the Congressional Budget Office. That's well above the pre-recession average of around $30 billion a year. But spending on benefits is lower than the $159 billion peak in fiscal year 2010. The decline is attributed to fewer claims, and legislation at the state level that limits the number of weeks an individual is eligible to receive benefits.